If you’ve ever driven a hyper car, you’ll know that driving at 450km/h (280+ mp/h) is not easy. For one you need safety, this means light re-enforced wheels made from carbon fiber. Most people, (let’s say.. young people) often don’t realize how important a wheel (including the tyre) is. Until you’ve bought brand-spanking new performance wheels, combined with a set of decent tyres, you just can’t begin to understand how much difference it makes. 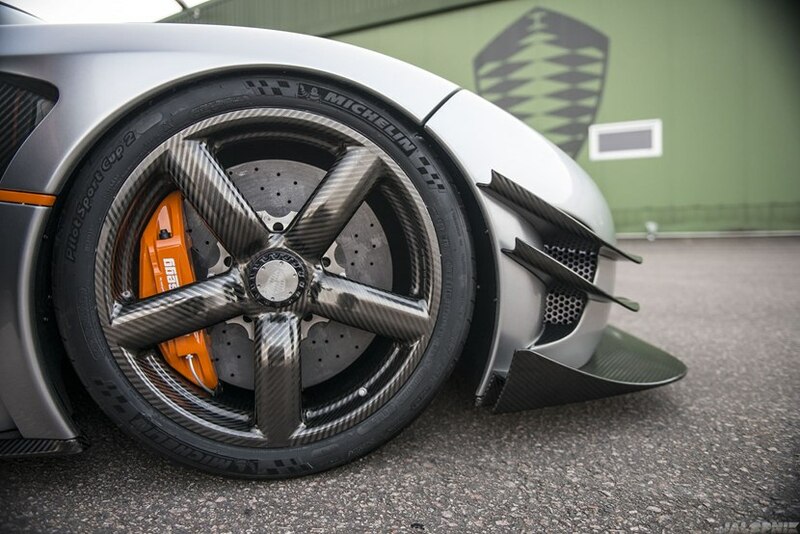 Checkout this details video, it explains how the Koenigsegg wheel is made and will relay a fair share of information.